It's been a big week for Zucky. 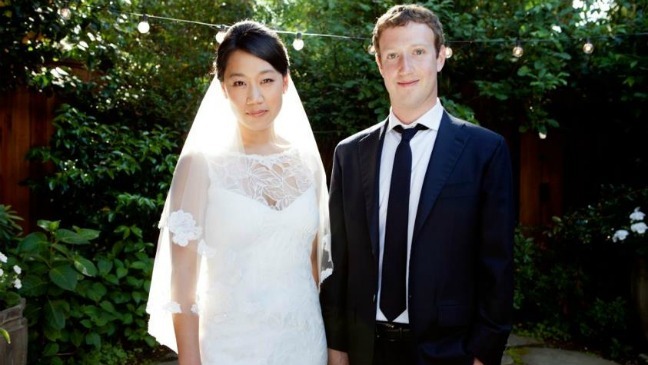 First the IPO of Facebook made him a multibillionaire Mark Zuckerberg got married yesterday to his college girlfriend Priscilla Chan. You will remember her from The Social Network. I like that Zucky has been with the same chick for all these years (9 to be exact). Being a celebrity millionaire/billionaire didn't make him a lady slayer. I am glad he stuck with PC, and didn't dump her for some hot bimbo. She is pretty smart herself, just graduating from medical school at University of California, San Francisco.